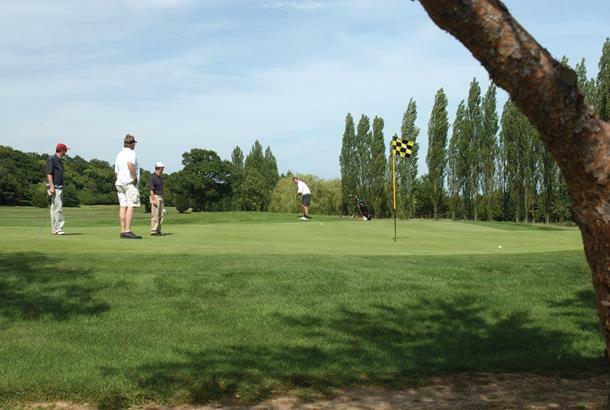 Easily accessed from London and just off the M25 at Potters Bar, Trent Park offers outstanding golf and function facilities in 150 acres of rolling countryside. Trent Park is probably one of the best examples of great value 'pay and play' golf in the London area. I visit this courses driving range regularly and on a Saturday morning there are always long waits lead to 4.5 - 5 hour rounds. The course is OK, hilly and hard work in the wet. OK to visit off peak on a warm dry day.